A young prosecutor enjoys a swift but troublesome rise to power. If you profess a love of cinema, but have been eschewing the excellent films coming out of South Korea, you really have been missing out on some top-notch entertainment. I went into Han Jae-Rim’s movie The King, knowing only that it had been described as a political thriller. That covers about half of it – it’s also a satire about corruption within Korea’s legal system, it’s a gangster movie, it’s a revenge tale and yes, it’s a crime thriller too. If Wes Anderson decided to make Goodfellas with Ben Wheatley, The King might just be the movie they’d have aspired to. Imagine that. 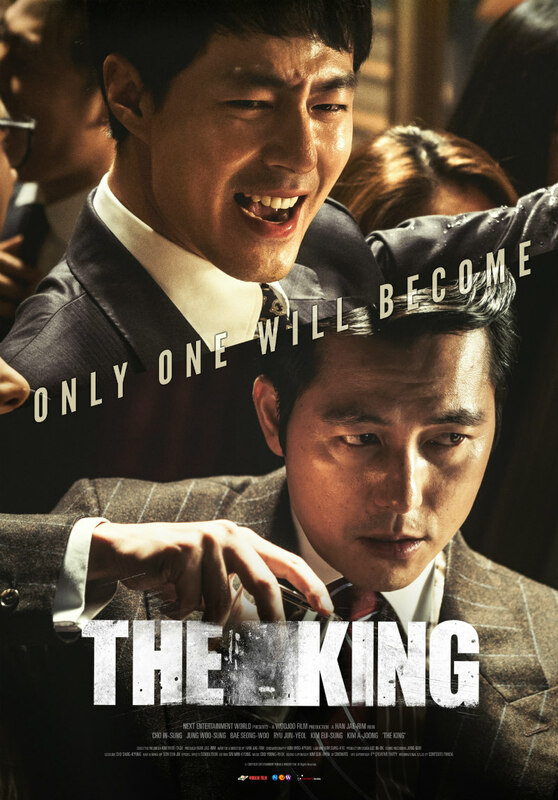 The King is the story of a young prosecutor who rises swiftly to power, but finds that it is not at all the easy ride he imagined. The film set the Korean record for most-viewed movie trailer, and went on to score the biggest January opening at the Korean box office. Admittedly, the film boasts a talented cast, and it offers intense political drama which frequently references real events. The film’s opening sequence starts the movie off with a bang. I won’t spoil it, but it certainly grabs the interest from the outset, and the rest of the movie is unlikely to let go of its hold on your attention. Handsome delinquent Park Tae-soo (Jo In-Sung) rises to the top of the social system in his provincial school by his prowess in fighting. When he witnesses his usually cocky criminal father being slapped around and humiliated by a public prosecutor, he realises that brains trump fists, and that it’s the smart kids that will eventually end up with the real power. He decides to become a prosecutor himself. This requires unfamiliar application to his studies, and Tae-soo discovers that, oddly, he works best when he’s surrounded by mayhem (giving rise to another amusing sequence). Finding a unique modus operandi, his grades begin to improve dramatically and he becomes the star of his class, sailing through the bar exams. Starting work as a young prosecutor, Tae-soo is dismayed by the long hours, low pay and lack of respect he finds because of his lack of connections. He soon becomes aware of rampant corruption behind the scenes. It appears that high-level prosecutors, gangsters, politicians and the press are all in cahoots together for material gain and in order to manipulate power. Tae-soo reluctantly agrees to take a bribe and let a sleazy gym teacher get away with his crime – he is accused of sexual assault on a minor - because the teacher's father is an influential politician. In exchange, he is placed on the fast-track and hired to work under celebrated Chief prosecutor Han Kang-sik (Jung Woo-sung). Han insists that ‘pride means nothing’ and that Tae-soo must ‘go with the flow of history,’ by which he means participate in the corruption around him. Tae-soo makes his deal with the devil and effectively abandons any notions of justice in favour of a comfortable and glamorous life. Han Kang-sik leads him down a slippery slope, offering money, fast cars and fast women, although this risks his relationship with his wife. A vicious gangster, Kim Eung-soo (Kim ui-seong), also colludes with the prosecutors, doing their dirty work in a particularly nasty way. Tae-soo’s childhood friend, Choi Du-il (Ryu Jun-yeol) is part of a minor criminal gang and shows up at an opportune moment offering to rekindle their old friendship and act as a personal heavy. 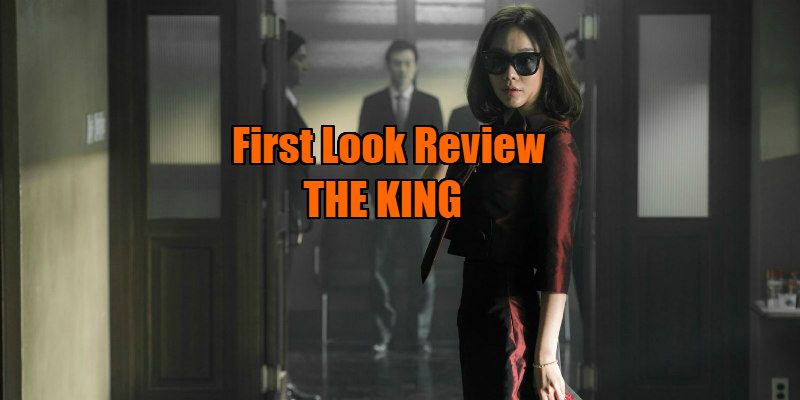 Meanwhile, Ahn Hee-yoon (Kim So-jin), a quirky but tenacious female anti-corruption investigator, is tracking Tae-soo in order to use him to get to Chief Han Kang-sik, whose greed, arrogance and sadistic nature makes him revel in power, behaving like an untouchable ‘King’. As his boss abandons him and slowly dismantles his life, Tae-soo realises the losses and errors in the path he has taken, and plans to take a clever revenge on those who have manipulated him for their own ends. Han Jae-Rim’s screenplay may be influenced by the films of Martin Scorsese, but there is a uniquely Korean tone to his movie, flipping from amusing satire, to the spectacle of expensively suited big-wigs indulging in snappy dance routines, to gut-churningly violent scenes set in the criminal underworld. Jo In-sung does a splendid job in his anti-hero role and angel-faced gangster Ryu Jun-yeol is a rising star, proving pivotal to the story. The film touches on many aspects of Korean society, shifting between the glitz of Central Seoul to the dusty countryside and from the halls of power to the sordid criminal underworld. The King motors swiftly through its 157 minutes, as Tae-soo’s voiceover guides us through tumultuous political transitions over a 20-year period. With parallels to real-life scandals, references to the June Democracy Movement and the transitions between several presidential elections, Korean viewers may receive a jolt of recognition from seeing old footage of the impeachment of President Roh Moo-hyun, (particularly as the current Korean president, seen in the archival videos clips, now awaits a supreme court decision after her own impeachment vote). Foreign viewers may not be familiar with the subtleties of the political content, but corruption is hardly unique to Korea, and the West also wrestles with the notion of monopolies who can manipulate the press and influence political power. As has been evident for a while, Korean film-makers such as Han Jae-rim can give tired and familiar genres a new lease of life by creating original storylines and colourful characters, as well as offering clever editing and glossy visuals. The King is thrilling cinema, and Han Jae-Rim proves his skill with this extraordinary and engrossing saga.